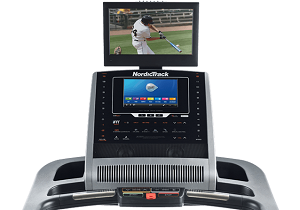 Bring your workouts up a level with the advanced and powerful Nordic Track Commercial 2950, featuring a massive motor, extensive deck cushioning, pre-programmed workouts, and so much more! Once again, the Nordic Track proves that they can take advantage of the latest technologies available on the market and put them all together to form a truly reliable and heavy-duty machine that will help you achieve the weight and body figure you’ve always wanted. If you don’t mind spending for an exercising machine and if you want maximum comfort and optimal result from your workout, this is the treadmill best suited for you. Equipped with amazing feature, the Commercial 2950 is ideal for personal or limited commercial use. If you’re thinking twice about the Nordic Track Commercial 2950 Treadmill because of its relatively high price, think again. Learn what it offers and see how it can be worth every penny. 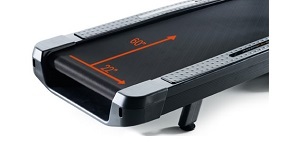 Designed with a massive 3.8 HP motor, the treadmill is built to withstand long and extensive workouts. Paired together with an expansive 22" x 60" tread belt, you can easily move with ease and comfort. Experience a smooth and quiet run every time with this Nordic Track model. Add spice to your daily workouts with a 15-inch stylish TV built into the machine. Just imagine how fun your cardio exercise would be without really feeling the hard work and minding the long hours. Add the 40 different variations of the pre-set workouts, you will definitely say goodbye to traditional and monotonous way of running. Just like other Nordic Track treadmill models, the Commercial 2950 also features the iFit technology that enables you to create custom-tailored training specifically programmed for your personal fitness needs. You can even run with Jillian Michaels or choose workout routes from Google Maps™. The Nordic Track Commercial 2950 Treadmill is a bit pricey. However, the price comes with everything you need – quality, durability, and stability. The only downside for this machine is getting Icon’s (Nordic Track's manufacturer) customer service, should you have any complaint about it – which may be never. Fun, comfort, and quality do come with a price. If you are willing to spend for a treadmill that will provide you with comfort and security even during the most rigorous sessions, the Nordic Track Commercial 2950 Treadmill is something you may want to look into. Other than that, you may want to visit our best buy treadmills page. Where to Buy Nordic Track Commercial 2950? 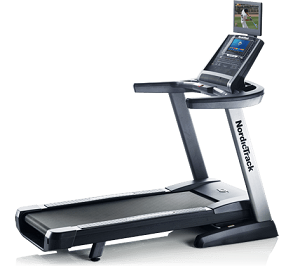 If you plan on buying a Nordic Track Commercial 2950 treadmill, I suggest you buy from Nordictrack. They are currently offering this machine for $2,299.